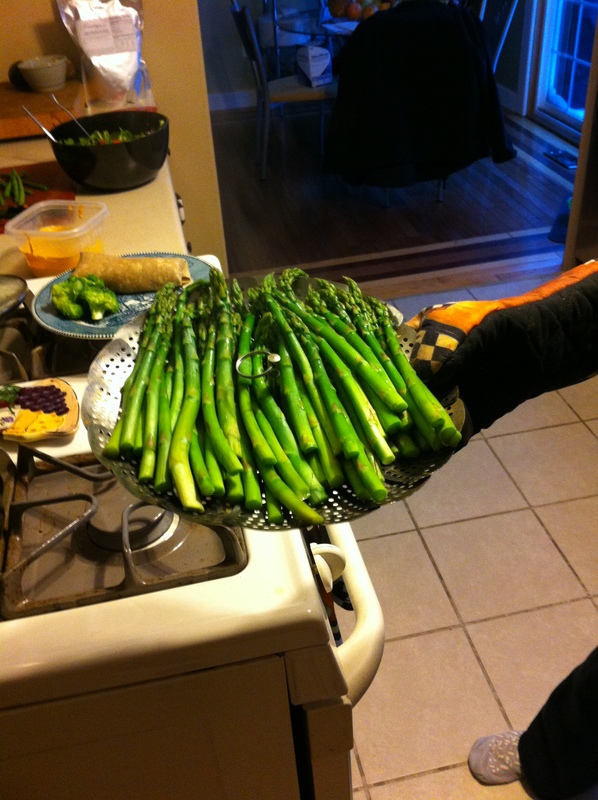 March 19, 2014 k3fitLeave a Comment on Wacky Wednesday: Asparagus! One of the first signs that we know Spring is here is Asparagus starts popping up on sale at the grocery store. It is one of the first spring vegetables to grow here in Michigan as well so I thought it would be a good focus this week as it always surprises me how many people have never had this tasty versatile vegetable. My husband and I eat asparagus at least 2 times a week. We typically steam it in our steamer basket which takes about 5 minutes. Lightly steaming vegetables until they are just tender allows the vegetable to retain most of its nutrient value, it is also another way to avoid added oil and salt while cooking. If you do not have a steamer basket they only cost a few dollars at any store like Meijer or Wal-Mart. We steam all vegetables,potatoes and greens in it almost every-night of the week. Its so simple! 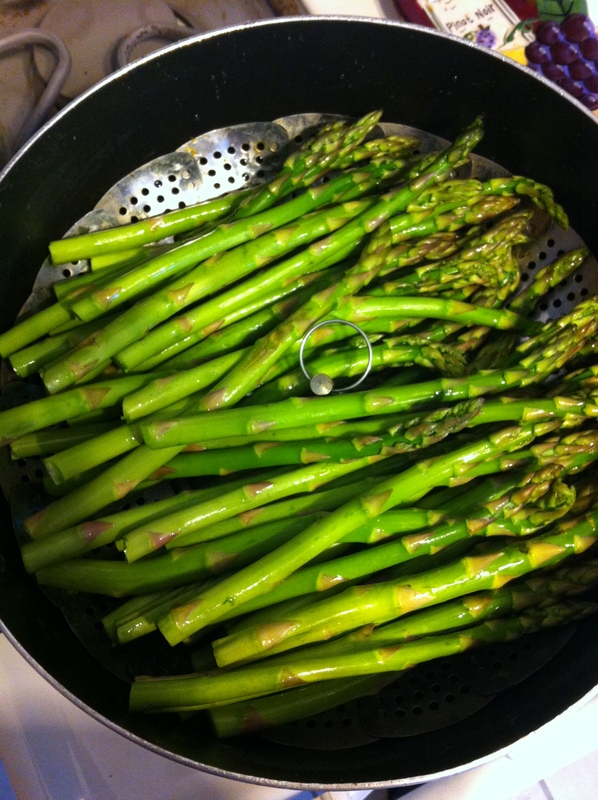 Check out this link for some asparagus info on all of its terrific benefits and try out these tasty recipes! Previous Why is Body Fat Percentage Important!